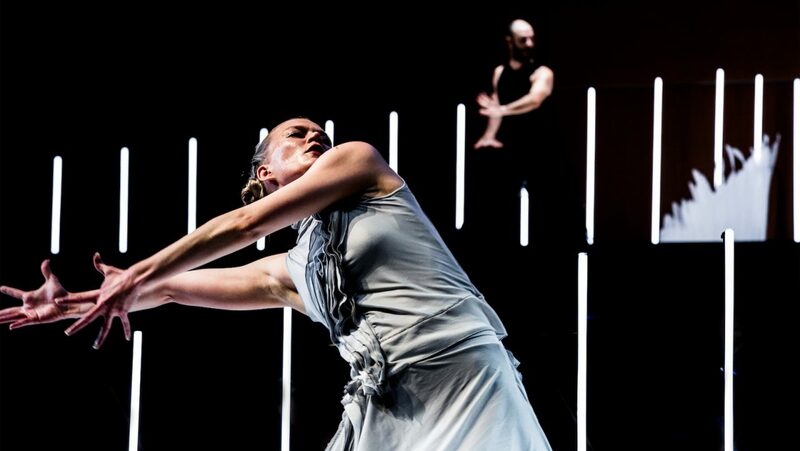 Zimmermann Trio is yet another example of the choreographer Tero Saarinen’s insightful ability to weave together live music, dance and visual design in a compelling way. The creation was commissioned by the LA Phil and its world premiere took place at Walt Disney Concert Hall. Co-commission partner Helsinki Festival presented the Finnish premiere on 30 August, 2018 at The Helsinki Music Centre. Like in LA, conductor Susanna Mälkki directed Bernd Alois Zimmermann’s cello concerto En forme de pas de trois, this time, interpreted by the Helsinki Philharmonic Orchestra. Tero Saarinen Company dance soloists Satu Halttunen, Misa Lommi and David Scarantino took the stage with cellist Oren Shevlin. Commissioned by the LA Phil (USA) and Helsinki Festival (Finland). Supported by Jane and Aatos Erkko Foundation (Finland). With thanks to Trasparenze Festival, Teatro dei Venti and ATER – Associazione Teatrale Emilia Romagna (Italy). “I was instantly inspired by the complexity, the multifaceted colors and textures, of Zimmermann’s cello concerto. It evoked my imagination and woke up the desire to add another layer via dance – as originally planned by the composer. I did not, however, set out to illustrate the work in exact accordance with the composer’s instructions or the traditionalpas de trois. Only the composer’s indication of the protagonists’ gender seemed justified. In my choreography, the composer’s alter ego – the solo cellist – traces the encounter of the three strong characters represented by the dancers. The music has a narrative, almost cinematic feel. The score is an intriguing mix of elements, ranging from echoes of Stravinsky to intricate jazzy moments. The unique soundscape is further enhanced by an eclectic and quite extraordinary range of instruments, seldom highlighted in orchestral works – such as the cimbalon, harp and a wide selection of percussions. The composer’s troubled life story – and tragic end – further fueled my choreography. I was very touched by how the composer’s deep loneliness can be heard in the music. Themes of departure and loss became strongly present in my choreography. 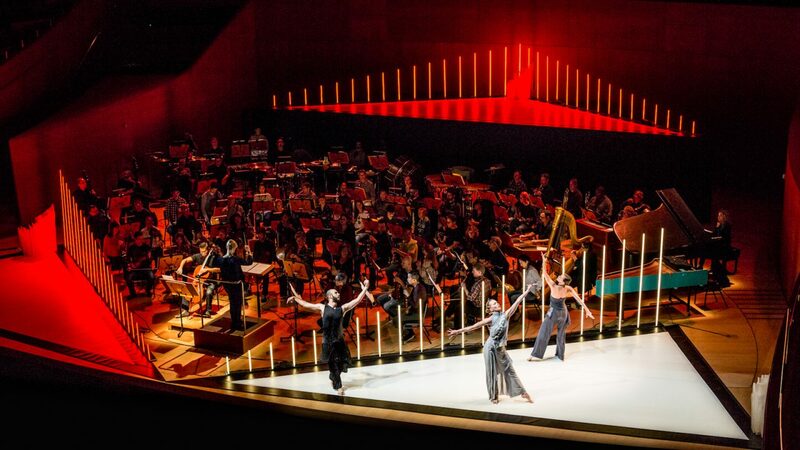 Production: Commissioned by the LA Phil (USA) and Helsinki Festival (Finland). Supported by Jane and Aatos Erkko Foundation (Finland). With thanks to Trasparenze Festival, Teatro dei Venti and ATER – Associazione Teatrale Emilia Romagna (Italy).